HCM City (VNA) - A seminar to introduce a life skills programme used in preschools and primary schools, called POKI, was held on August 15 in Ho Chi Minh City. 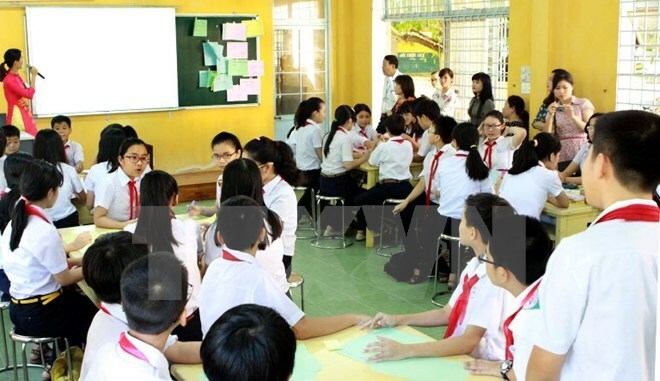 The programme helps prepare young people to become global citizens of the 21st century, according to the organisers, the Vietnam Schools Connect Company (VSC) and the Scientific Institute of Human Resources Management (HMIS). About 354 preschools and elementary schools from 24 cities and provinces, mostly in northern Vietnam, use the programme in their curriculum. The programme fee is 50- 60,000 VND (2.2-2.6 USD) per student per month. “We hope to receive support from the city’s Department of Education and Training to expand the programme to other schools,” Nguyen Van Si, vice president of the HMIS, said. Nguyen Van Hieu, deputy director of the city’s Department of Education and Training, said it was important for students to have good social skills as well as academic knowledge. The programme focuses on four criteria, including practical life skills and literacy; out-and-in communication and collaboration; knowledge acquisition, thinking and innovation; and information and technology application. Each criterion includes many lessons, with some following content in school textbooks to make academic information more practical and comprehensive. The programme offers multiple features, including software for teaching, an online life skills portal for students and parents to access, outdoor activity kits, and textbooks, among others.